We are in love with Manuel Scrima, a talented artist from Milano who got into many fields of creative work since he was a child. And he has never really stopped: from documentary to fashion photography, from video making to directing, Manuel always seems to be on the move and surrounded by work and projects, often driven by a sense of classic and neoclassical inspiration that comes from distant and exotic cultures. Hi Manuel. Thank you again for letting us show your pictures at Container Love Exhibition. We really like your work – especially your mixture of art and commerce. For me personally, that’s very interesting to look at. First of all: How are you? What did you do before starting this interview? We are a bit curious how your day in Milano looks like… or wherever you might be right now. Manuel Scrima: I’m always on a move. Today is Saturday and I left Milano, visiting my mom and dad in Cremona. I’m just back from my training in the swimming pool. Sport is essential in my life. When I do sport I can free my mind. I’m in love with the ICEBERG video. Nice job, man. How did this cooperation come about? Manuel Scrima: It’s a long story, I can tell you how it begins… I really like Iceberg brand since I was very young. It’s fresh, it’s cool and always colourful. In the last years the brand was trying to relaunch and re-market itself and they were a bit hard to approach even just to get clothes for editorials. Finally last year things changed and I was able to get their clothes for my projects. Since the first time they liked my work and they contacted me to collaborate. I shoot many singers wearing iceberg, the first one was Laioung and just after the actor and friend Alessandro Egger. They both fell in love with the brand , like I was, and decided to write a song together with this title. Before them it was Jay-Z in the 90’s which dedicated a song to the same brand. It’s now time for an Italian young duo. To promote the song we spent 4 days shooting a short film and a music video. The video is now out, the short movie will be out soon. Following your work, I get the feeling that photography is more than a job to you. So maybe it’s time to tell us something about you. How did you get to photography? Manuel Scrima: I think I would never be able to do a job without love and also a job I’m not in love with. On another hand, photography is just a way to express myself, I could express myself with something else, so it’s not essential to me. What l need is creativity and freedom to express myself. Photography without freedom is just boring. I got into photography, filming and art when I was a child and I never really stopped. At school I was the official videomaker. It started to be my job thanks to my dear friend and mentor, Michael Elmore Meegan who wanted me in Africa to help him with his NGOs. Do you remember your first pictures? Manuel Scrima: I took my first picture at the zoo when I was a little child. The models were my brother together with a tiger. I always loved exotic subjects. The first pictures I took for work were in Kenya with a second hand film camera I bought last minute in Nairobi. I took pictures in a traditional Maasai village, a very inspirational place to me. The amazing result gave me the strength to start my career. 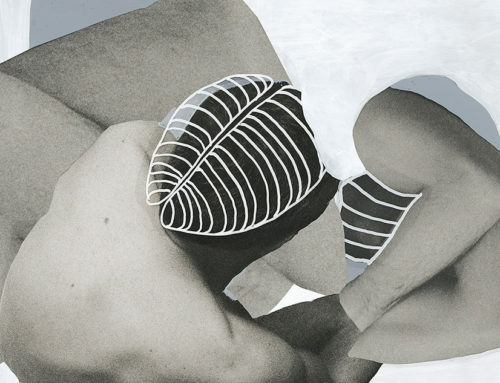 Manuel Scrima: At first glance my work could seem a bit eclectic, but it’s not. It all follows the same aesthetic ideal. I think for an artist it’s too restrictive to choose a pattern and to follow it forever. My imagination is huge and I take picture of what I imagine. First I create the image in my head, then I reproduce it with the camera. You can find connections between all my pictures: a sense of classic and neoclassical inspiration often derived from distant and exotic cultures. As I said, to me you seem like a wanderer between two worlds – the commercial & fashion world and the art & documentary world. Or am I wrong here? Did you ever have the feeling to decide between those photographic subjects? Manuel Scrima: I started as artist and documentary photographer and it worked very well soon. I was straight away exhibiting around the world my work. Soon I understood that to grow as an artist I needed also to face reality and commercials clients. I am self-taught photographer and I took the commercial way to push myself further and learn more and more about this world. Manuel Scrima: Everything about Simone reminds me of a greek statue from the 5th century B.C. I imagined all the pictures before to take them, they were all in my head since few years and I finally put them out. I followed any single aspect of the story, I was even the stylist for it. I didn’t want to include many collaborators not to risk to change my vision at all. Manuel Scrima: I was born anti-racist and very tolerant. I traveled around the world for long, living in different countries. I wanted to understand what I really am and how I’m conditioned by my culture. Its very hard to take confidence about your own culture and really understand it. Beauty is the main foundation of my photography, mainly the beauty of diversity intended as different cultures. One of my photographic series is called Coziness and is about people in their homes, mainly traditional huts in rural Africa. If you are born in a hut, that is the environment you are happy in and cozy. Very hard to understand and believe for western persons. What is your dream or goal in relation to your artistic work? Or let me ask you differently: Do you have a vision of you, being old and gray and wise …? Manuel Scrima: I was lucky enough the realise a lot of my dreams in my professional life. I think I should start and do more video as a director, that was my original talent, before than photography. It’s also about time to release my new art projects, I have few of them almost ready to be out. Talking about commercial work my only dream would be to take pictures of Michael Jackson for an album, but I guess now its too late, I was lucky enough to meet him few times, so I guess this is fair enough . Manuel Scrima: I hope my new contemporary art exhibition will be out soon. I’m working on it since early 2012, so it should be about time to release it. The inspiration is greek art, human bodies creating a new language. Thank you for the interview, Manuel. 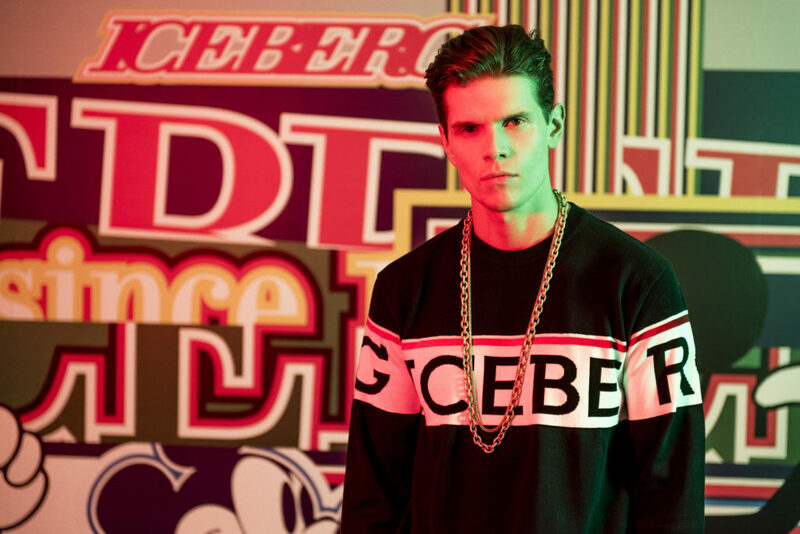 Check out Manuel Scrima on Container Love’ Editorial.